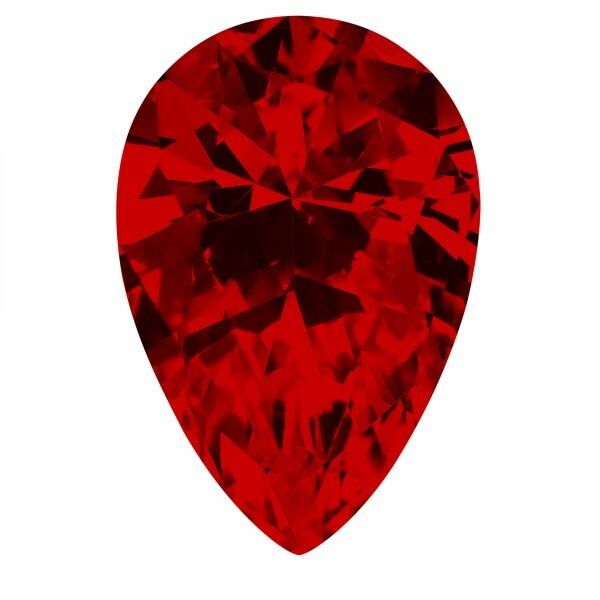 Ruby Pear Cut was added to your cart. This deeply hypnotic design captures the full range of facet effects: from shimmering frost at the tapered tip to the entrancing depth at its dazzling center. Few stone cuts hold the heart and mind in rapturous fascination quite like this. The intoxicating warmth of Pigeon's Blood lab-created ruby enriches this mesmerizing cut.